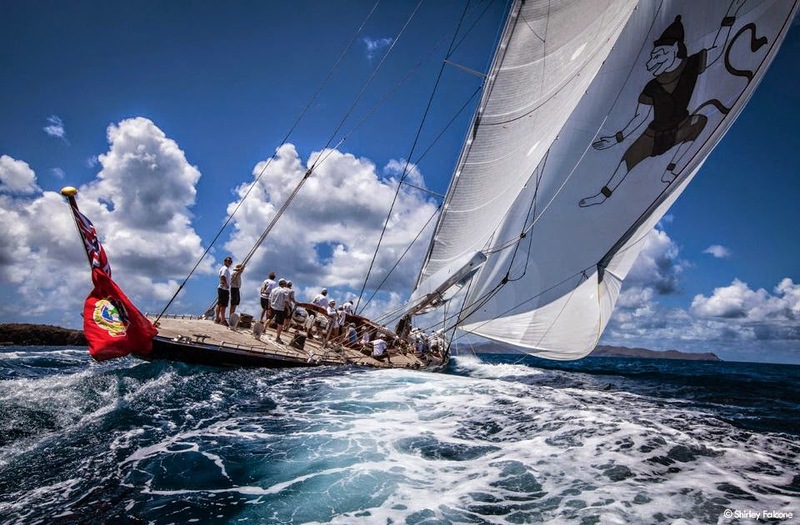 Tomorrow will be a historic day at the St. Barths Bucket Regatta, which has been called, by some, "the most important super yacht regatta in the world." The event is starting a day early to give the J Class an extra race. 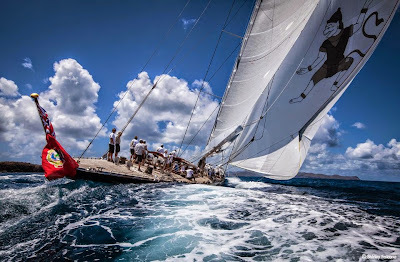 And what a race it will be, as five of the behemoth 130'+ (40 meter) sloops - Hanuman, Lionheart, Rainbow, Ranger and Velsheda -- will be sailing together for the first time ever in the Caribbean. As well, it will be the first time since the 1930s, considered the J Boats' Golden Era, so many have converged for a single racing event. 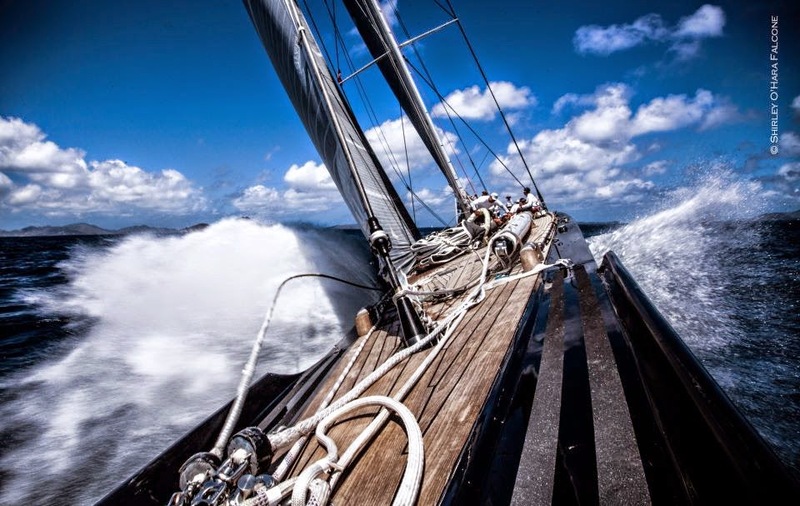 "We are feeling good about this regatta," said Rogier van Overveld, crew boss aboard Rainbow. "We sailed against four of the boats in the Solent (all but Hanuman) and we've been doing a lot of sailing since, with almost the same crew, which are all from the Netherlands." Rainbow's co-helmsman Mark Neeleman is his country's five-time Olympian in Finn and Star class, and most of the crew sailed aboard Windrose of Amsterdam (Rainbow owner Chris Gongriep's previous yacht) here last year. 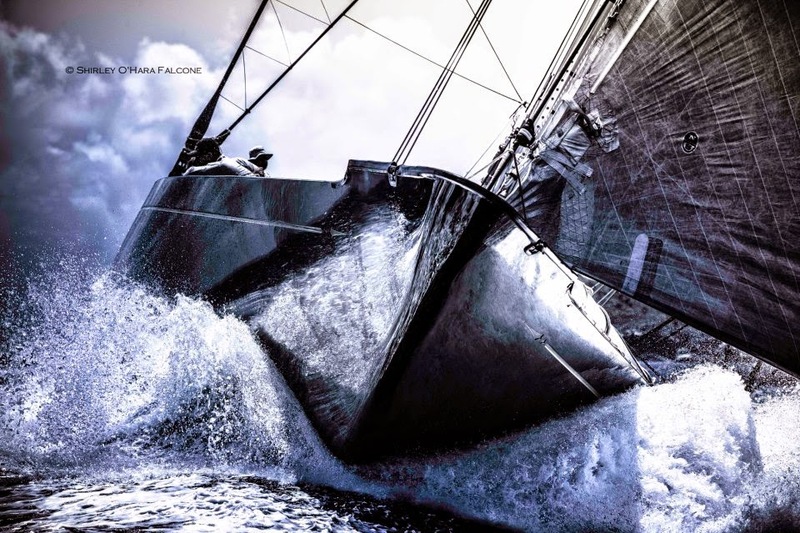 Hanuman is sure to give them a run for their money, however, as two-thirds of its crew are big names from America's Cup and/or Volvo Ocean Race arenas. And among those is what Captain Greg Sloat calls the "Newport mafia" headed by helmsman Ken Read. Read is best known for his Volvo Ocean Race accomplishments as skipper of the Puma Ocean Racing Team but also has 40 World, North American, and National Championship titles to his name. Sloat revealed that the collective know-how onboard is being harnessed for a small-boat approach to sailing the one very big Hanuman. He called Hanuman one of the "Super Js," which were built for the America's Cup. "The ratings among us are very even, so determining a winner might come down to a single mistake," said Sloat, adding that adept boat handling is the foundation of the approach. 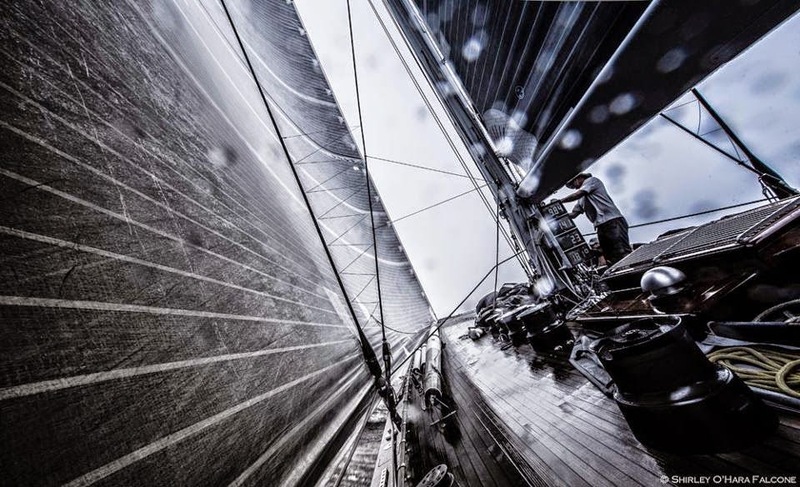 Results for the J Class, which plans to sail one windward-leeward race tomorrow, will be calculated using the J Class Association handicap (the J Class Rule), and the racing format will be traditional fleet, where all yachts start together on one line. The remainder of the Bucket classes, which begin racing on Wednesday, March 28 and continue through Sunday, March 31 along with the J Boats, will sail under the International Super Yacht Rule (a formal packaging of what was originated by Bucket founders as the Bucket Rule) and enjoy a "pursuit"-style racing format, which gives them staggered starts in each of three classes.